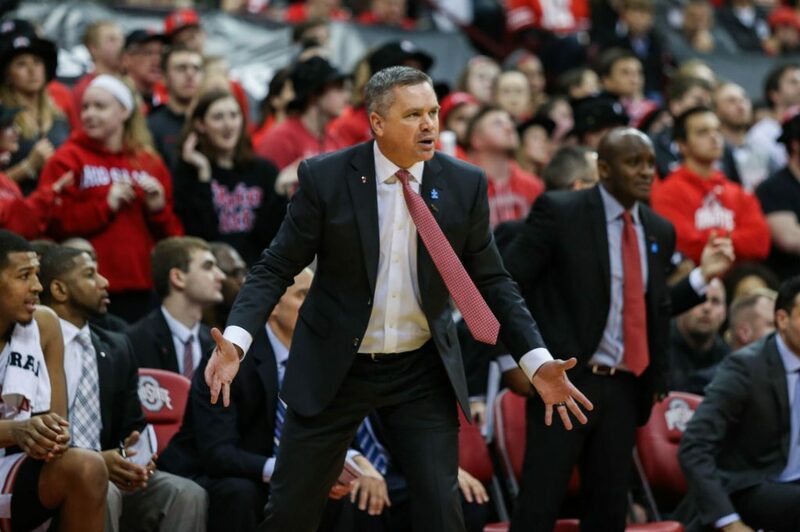 When Chris Holtmann was hired as head coach of the Ohio State men’s basketball team, the expectation was that at some point in his eight-year contract, he would bring them success. Everyone believed the first season, however, would be a rebuilding year. That turned out not to be the case with Holtmann, who coached the Buckeyes to a 24-7 overall record and 15-3 conference record. The major turnaround after a dismal 2016-17 campaign proved enough for Holtmann to be named Big Ten Coach of the Year, the conference announced Monday. This is the second straight season Holtmann has captured a coaching award. He garnered the Big East Coach of the Year award following the end of the 2017 season after his final season at Butler. The Buckeyes finished just 17-14 overall and 7-11 in conference play in the regular season last year, then lost to Rutgers in the first round of the Big Ten tournament and failed to reach the NIT. The dismal campaign, along with a struggle to recruit, led to the dismissal of former head coach Thad Matta and the hiring of Holtmann on June 9. This season, Ohio State will enter the conference tournament with a two-round bye as the No. 2 seed and has locked up an at-large bid in the NCAA Tournament. Ohio State began the campaign slow, with a 5-3 record to start. However, it won 19 of its remaining 23 games, including wins over then-No. 1 Michigan State at home and then-No. 2 Purdue on the road. Holtmann will try to continue to keep the surprising run to the season going at 6:30 p.m. Friday when Ohio State plays the winner of the Penn State vs. Northwestern matchup in the quarterfinals of the Big Ten tournament.